I arrived in approaches to Tiksi late yesterday and have anchored off a small cove south east of Tiksi. I will go into Tiksi either today or tomorrow. Please can I have some information about the Captain Danilkin. 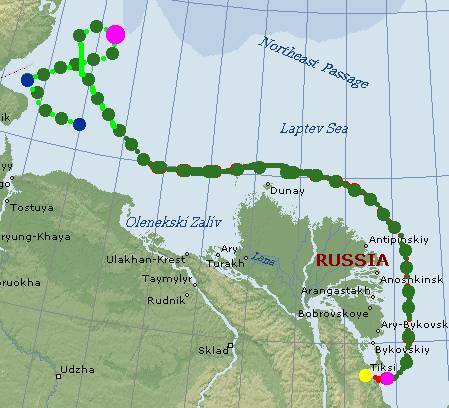 When is she due to sail from Tiksi and where will the loading of the yacht take place? Is the Captain Danilkin moored at a pier in the port or is she anchored in open water?